The Extended Cut of Dawn of Justice improved but also hindered the complete film. 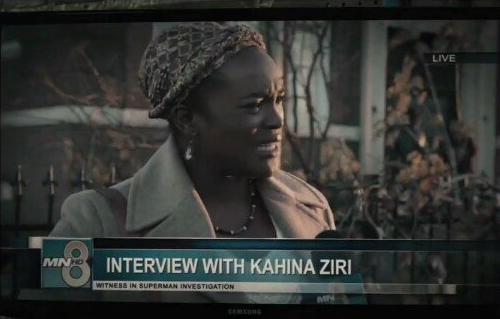 Lex Luthor’s scheme is elaborated on which involves Senator Finch (Holly Hunt) and Kahina Ziri (Wunmi Mosaku) little bit more from beginning while Lois Lane uncovers bullet with Jena Malone as Star Labs scientist, Jenet Klyburn not Barbara Gordon as assumed. Even Clark Kent goes to Gotham where he finds out about Batsy plus context for their first confrontation. Perry White (Laurence Fishburne) was the biggest A-Hole as theatrical version entailed. It was so good as mentioned above on first viewing. From Amazons charging into battle to humorous moments like Ms. Prince crossing Etta Candy played by Lucy Davis (Shaun of the Dead) at the end. Princess Diana (Gal Gadot) meeting Steve Trevor (Chris Pine). Allusion to him calling her “Angel” along-with love-at-first-sight. Connie Nielsen should play Queen Hippolyta after her commanding monologue in Gladiator. Glimpse of Themyscira looks amazing. Understand WWI setting cause it’d be too much like Captain America. Elena Anaya our femme fatale regardless if she’s Circe or someone else same with Danny Houston. Ares, God of War could be influencing both sides. Friction obviously between Trevor hopefully isn’t because stooping to low-levels. Misandrism still concerns me but Patty Jenkins reiterating Diana’s compassion reassures me. Mis-organization favor only two questions. Jason Momoa definitely has presence be-in-favored King of the Seas. Tidal wave adds to effect. Arthur Curry has blue eyes or illustrates his half-bred Atlantean biology. Electrical field when Flash (Ezra Miller) moves at super-speed different then TV series. Got Tony Stark/Peter Parker vibe there. I’m attending Fastest Man Alive’s solo-outing for 3D visual aspects i.e. Ant-Man. The League can’t function without Superman (Henry Cavill). Clark will probably have better luck recruiting Arthur once he returns. Wayne’s tendency to rub-people-the-wrong-way turns it’s ugly head. He only makes things worse of course by having him make fish jokes. Straight up don’t like Barry Allen being reclusive despite actor’s enthusiasm. Chris Terrio seems to enforce Loners Are Freaks trope which Hollywood done too many times. At least Grant Gustin’s Barry has friends (before backstab). Every single hero aren’t solitary like BatGuano. Costume Designer, Michael Wikinson (Tron: Legacy) overdid armor-plating especially around his neck. Uniform should be slick in-design so he can agile as possible while running. 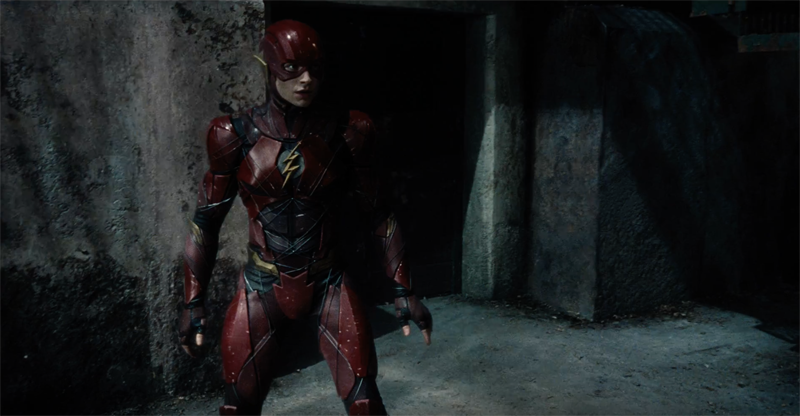 Glad they kept white oval behind lighting-bolt though. Wish Ray Fisher’s Vic Stone team-jumps down-the-road.